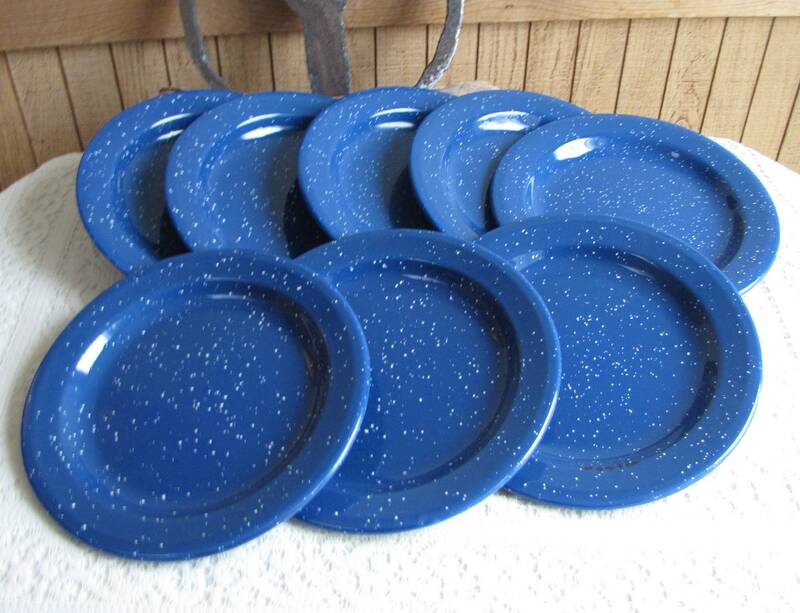 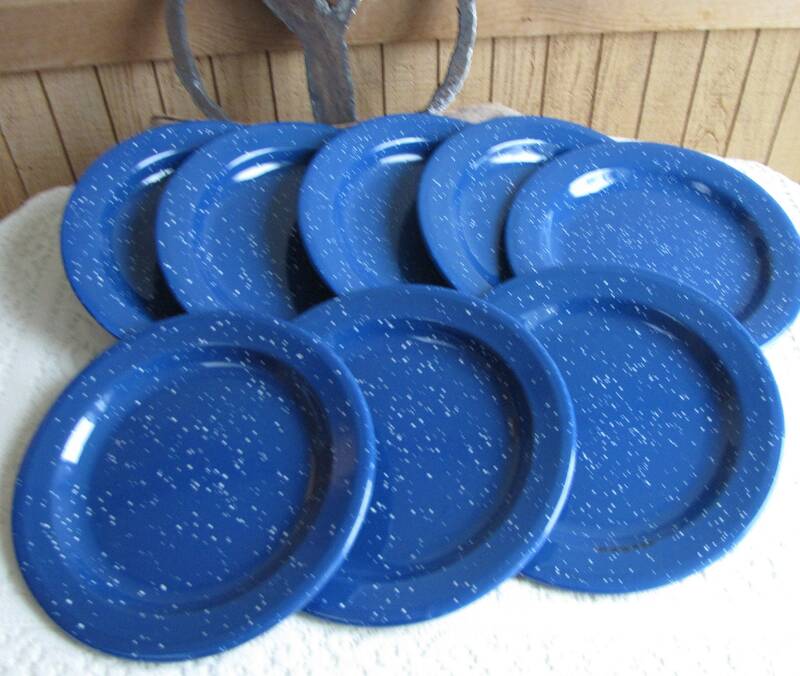 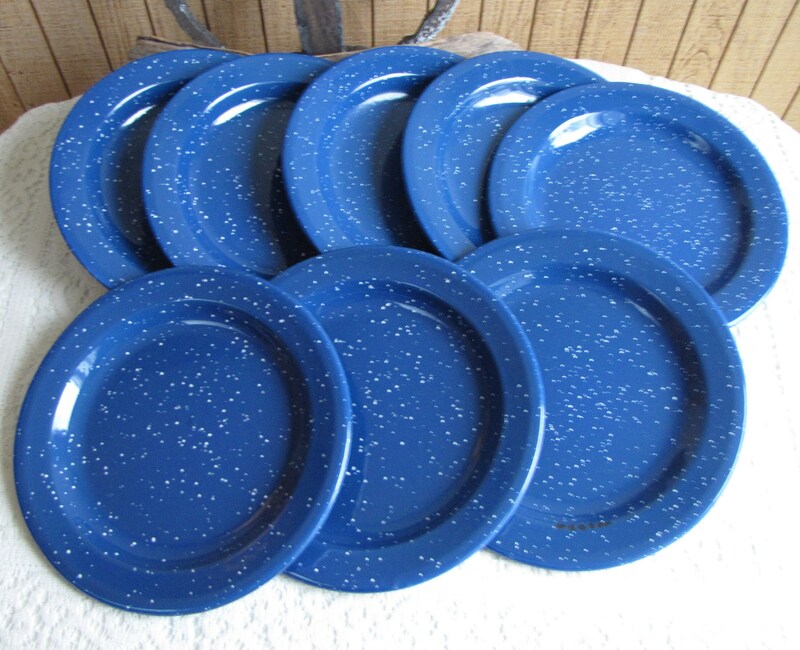 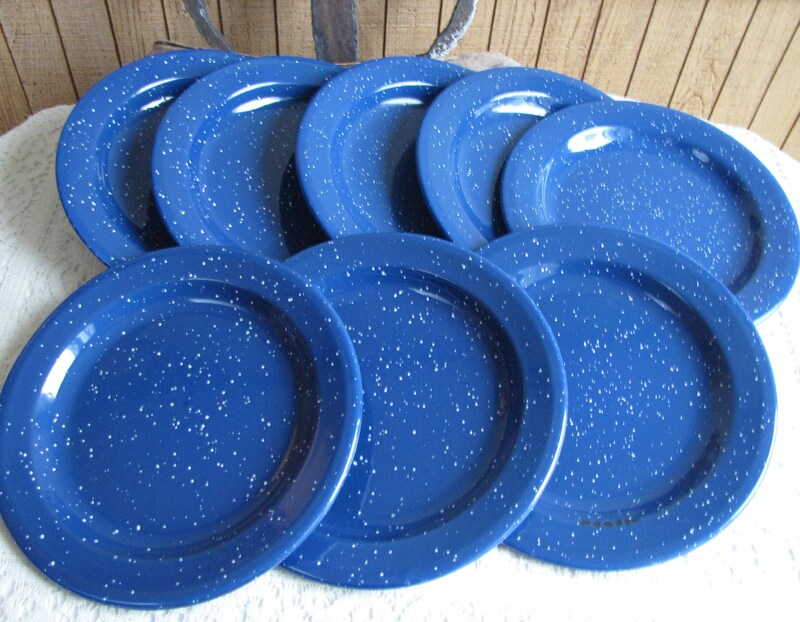 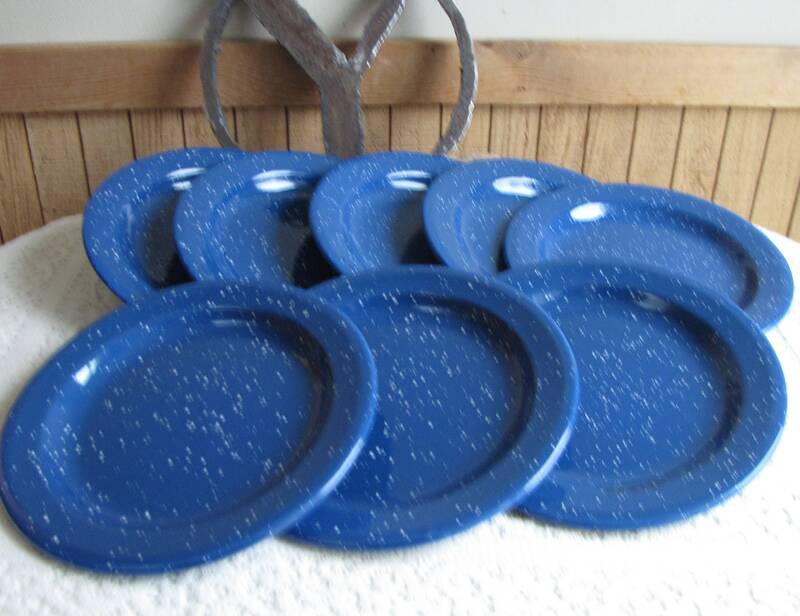 A set of 8 blue speckled enamelware camping plates that are in good vintage condition; some chips of the enamel as seen in the pictures. 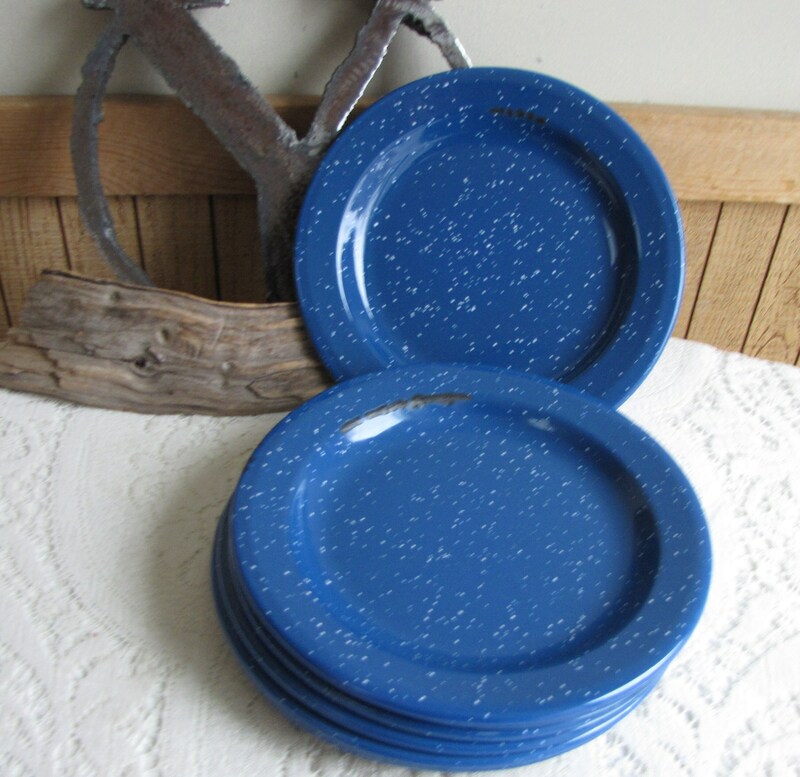 No rust or holes or dents. 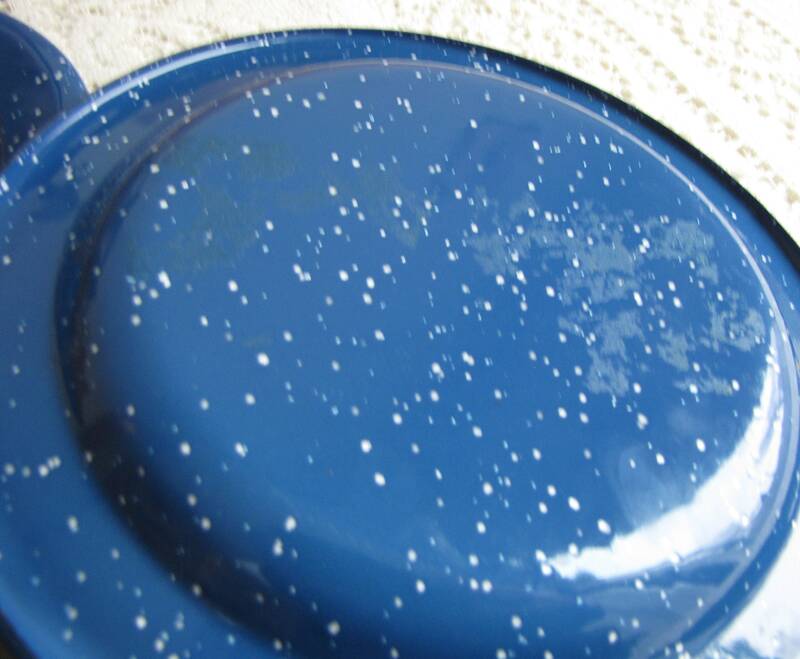 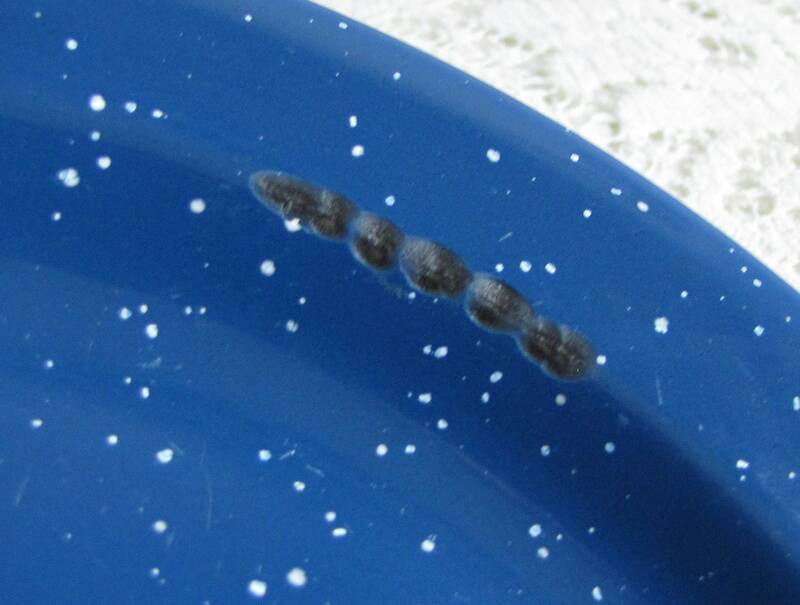 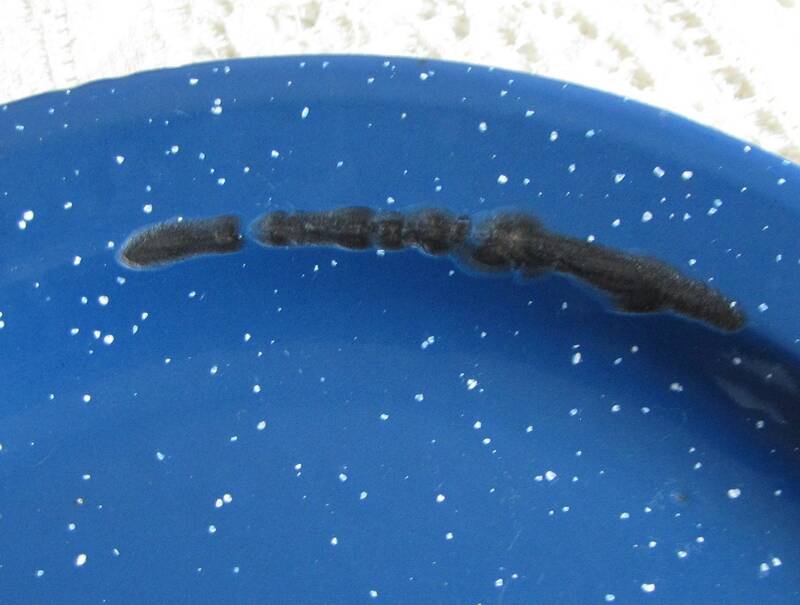 The one plate has some adhesive residue that I soaked a bit but was unable to completely get it off. 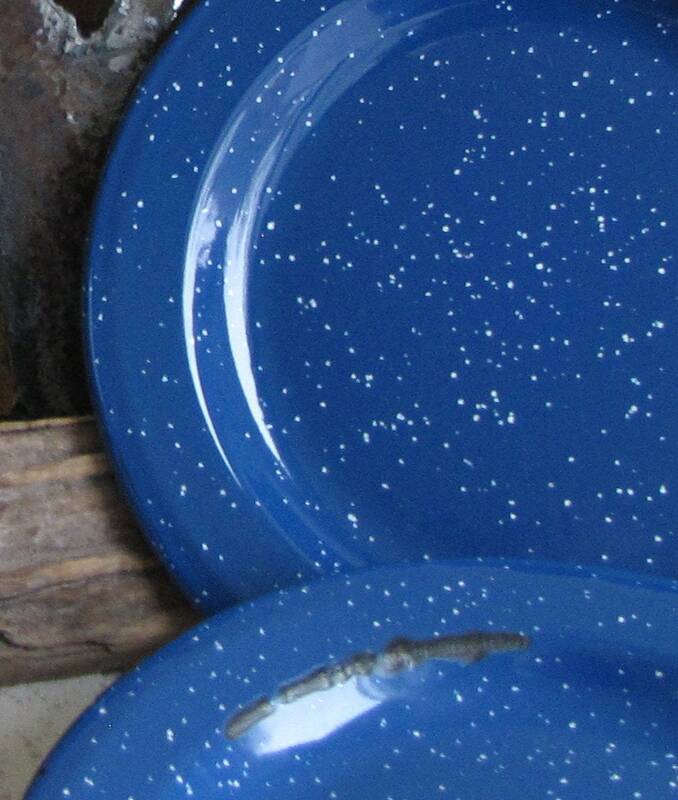 They measure 9 inches in diameter.